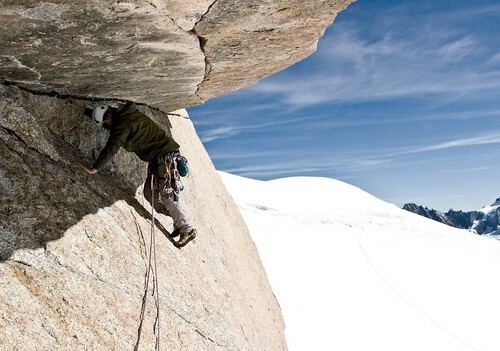 The year has come to an end and it’s time to list the climbing highlights of 2010. My memory is off-course dominated by my 7 week summer road in the VW California. I’m listing my hardest ticks in each discipline, but please remember that climbing is far more than hard grades. My biggest and dearest memories from 2010 comes from just being on a long climbing road trip. I really enjoy the travelling lifestyle, climbing with old friends and making new friends during the trip. 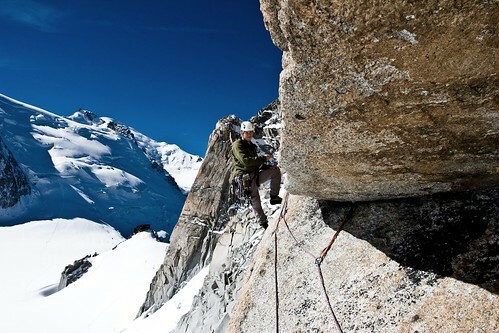 2010 has been a good climbing year that has fuelled a lot of ambitions for the coming year. First Ascent of four 25 meter ice-falls (Grade III-V) in Ekkodalen on Bornholm, Denmark. 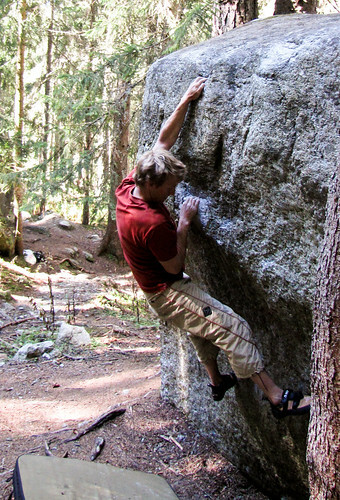 Not much bouldering this year, but I have done some fine problems up to 6B/6C in France, Italy and in Sweden. I like to think of Bouldering mainly as a fun rest day activity. Rest day in Chamonix. A fun 6B bloc!